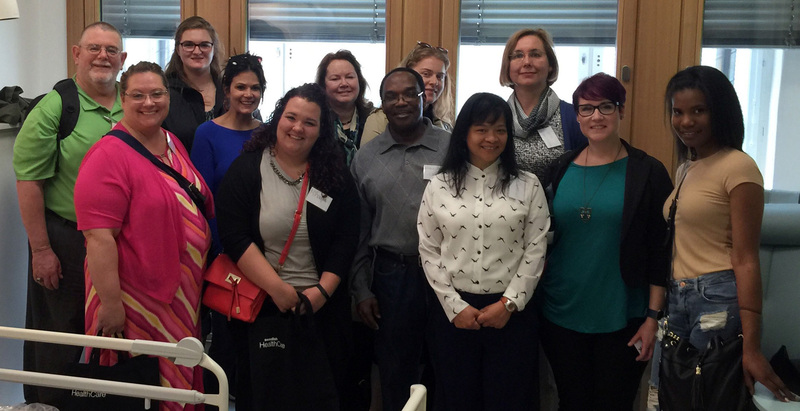 During May 2017, a group of graduate and postgraduate students from Central Michigan University and Indiana University Purdue, were part of a one week intensive course that covered the very building blocks of the Swedish healthcare system. 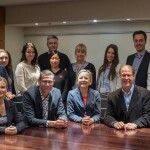 Sweden has one of the most prestigious healthcare models in the world, which is why learning from professionals directly involved in its success, undoubtedly represents a once-in-a-lifetime opportunity. The 2017 study visit, offered a glimpse of all the different angles of the Swedish welfare model, with the participation of speakers from respected institutions such as Karolinska Institutet, Stockholm University, Malmö University, the Stockholm County Council, the Swedish Red Cross and many more. All of them provided our guests with a first-hand testimony of the way that the “public health engine” works in Sweden. Students from Central Michigan University at the New Karolinska Hospital Showroom . During the Global healthcare study tour, the students had the chance to witness health financing, delivery, access and utilization, through the testimony of professionals from universities, governing bodies, non-profit organizations and healthcare facilities, thus observing how policy work turns into remarkable health outcomes. 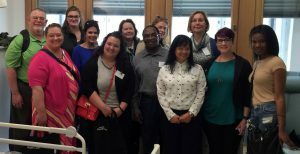 Besides of engaging in lectures and discussions, the participants had the chance to visit and take a closer look at the institutions that integrate the Swedish healthcare model. Both Indiana University and Central Michigan University are already planning to return to Sweden next year for another Global healthcare study tour with new enthusiastic students.